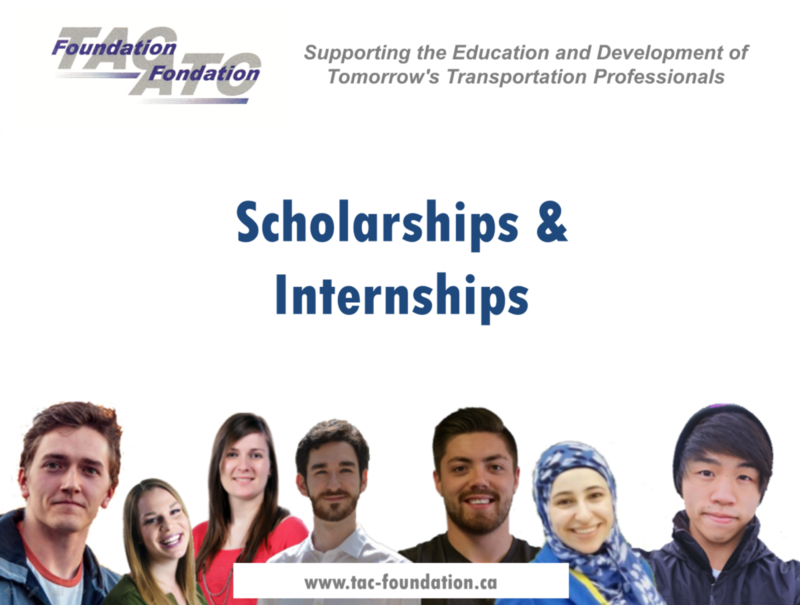 AND paid summer internship positions offering on-the-job training at transportation employers across Canada. Apply for EITHER or BOTH using a single application form! Our top applicants can also share information about their future employment interests with our donor organizations in the hopes of making a match through the Employment Connections component of our program! Must be Canadian citizens or permanent residents. Must be enrolled at a post-secondary institution (university or college) in an academic program related to, and hope to pursue a career in, the planning, design, construction, operations, maintenance and program management of road and highway infrastructure and urban transportation. This includes, but isn't limited to, civil and transportation engineering. May only be awarded one (1) TAC Foundation scholarship at each stage of their education (community college, university undergraduate, graduate). May apply for and receive scholarships from other sources. Must be enrolled in at least two semesters of full-time studies from September 2019 through August 2020, AND graduate by September 2020. Must be admissable to or enrolled in a full-time transportation-related graduate (masters or doctorate) program in a transportation-related discipline. Must complete at least two semesters of full-time studies from September 2019 through August 2020. Applications for scholarships/internships open by November 30, 2018. The TAC Foundation evaluates and scores all qualifying applications. The highest ranking applicants in the college/CEGEP, undergraduate and graduate categories will be eligible for scholarships providing they meet specific donor conditions. Preference may be given to candidates with relevant work experience. Applicants should advise the TAC Foundation of any change of email address since submitting their application. All applicants agree, by submission of their application, to publication of personal data (such as name, educational institution, amount of award, focus of research and other related information) in TAC or TAC Foundation publications, including but not limited to TAC News, TAC's website, as well as announcements at TAC and Foundation events.